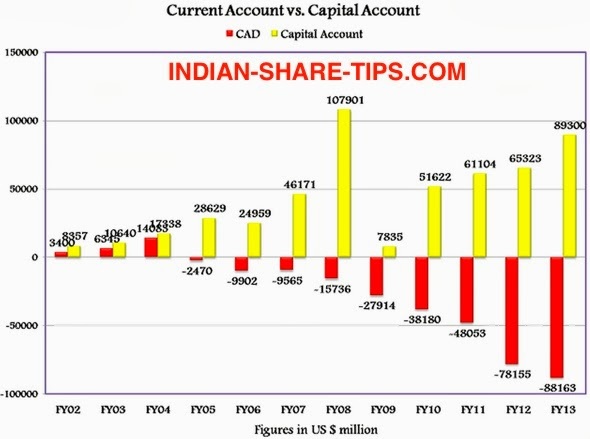 It is pertinent to mention here that Current Account Balance for India presently stands at -$88.2 billion and to make it simple we can say that Current Account Balance is nothing else, but it is the other name of our Current Account Deficit or Current Account Surplus. Current Account Balance is calculated by deducting India’s total imports of goods and services from its total exports of goods and services. If it is positive, then we call it a surplus and if it is negative, then we call it a deficit. You can check the Indian foreign exchange reserve here. Let us all work together as a nation and import only what is required and not for the sake of hoarding as is the case with gold.